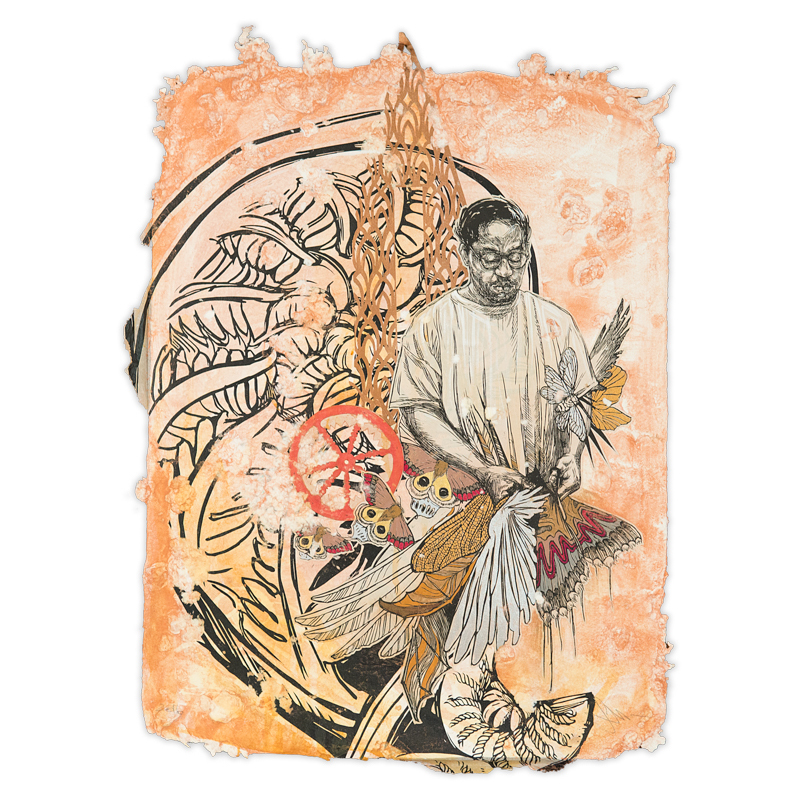 Caledonia Curry, more commonly known as “Swoon,” is arguably the most influential female street artist of all time. Her pieces have been collected by The Museum of Modern Art, The Brooklyn Museum of Art, and the Tate Modern, and reside in private collections around the globe. Famous for her portraiture based artwork, she is also renowned for her large-scale installation designs, (most notably the “Swimming Cities of Switchback Sea” in 2008). 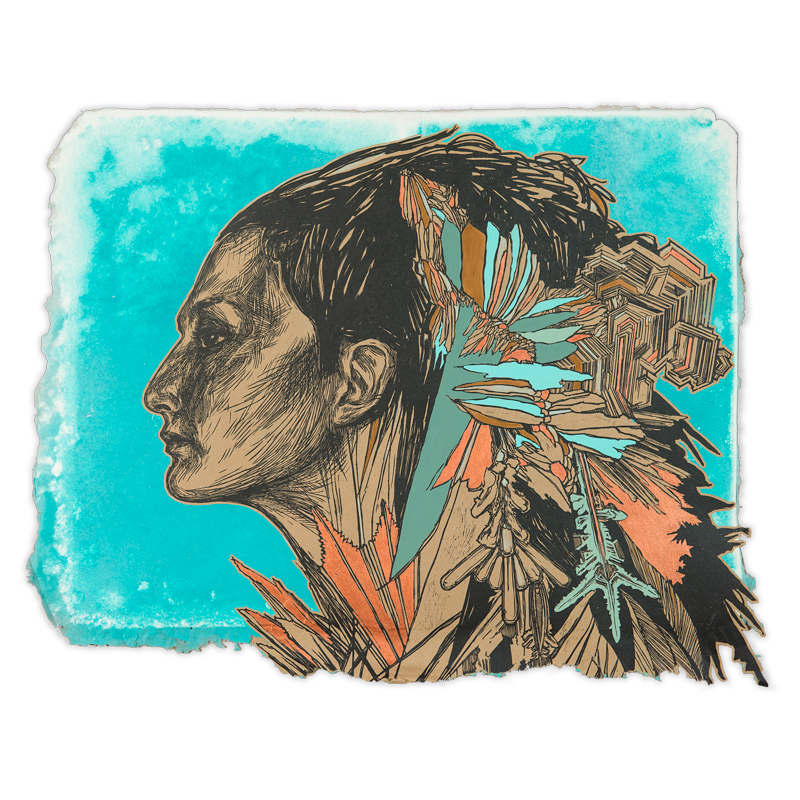 Based in Brooklyn, her life-sized woodblock and paper-cut portraits hang on walls in various states of decay in cities around the world. 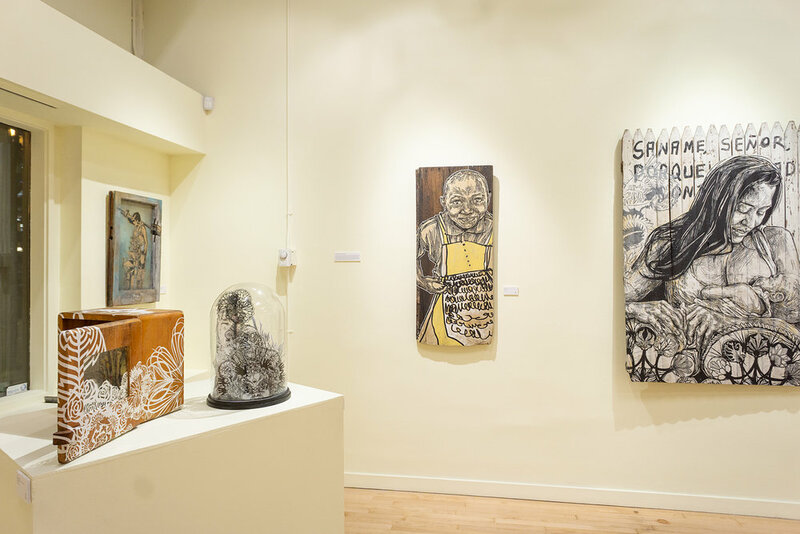 With a curriculum vitae that includes exhibitions at the The Detroit Art Institute, the Brooklyn Museum, and The Museum of Modern Art, it is undeniable the iconic mark Swoon’s work has left on our culture. 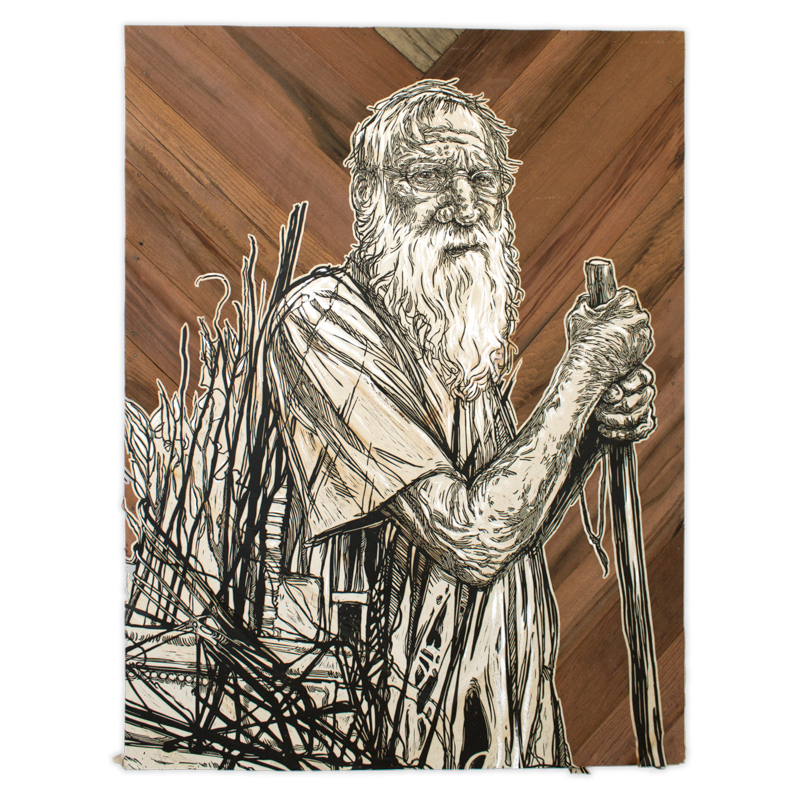 EVERY PORTRAIT IS A VESSEL’ is Swoon’s first solo exhibition in the Pacific Northwest. 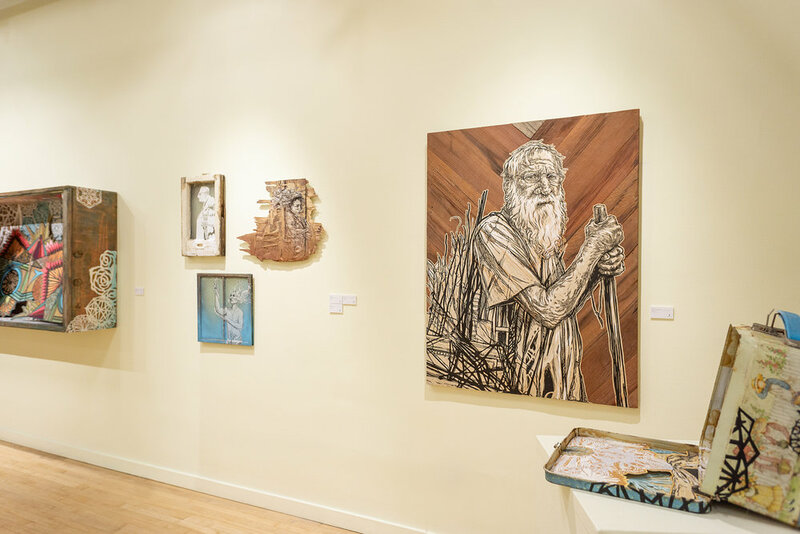 The artist will be showing a mixture of old and new works at Treason Gallery, taking the opportunity to give the residents of Seattle a broader view of her artistry. 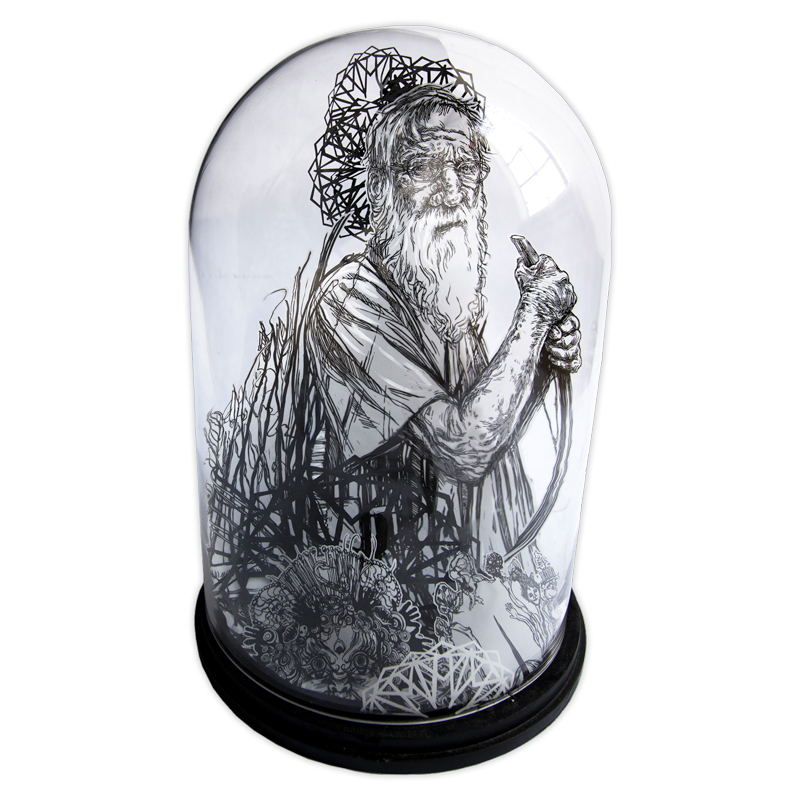 The body of work will showcase her unique versatility, with works ranging from meticulously built music boxes to imaginative and ornate mixed media pieces. Her new works are vibrant and alive with color while still rooted in her traditional practice of wood block printing and paper making.